Now on to this gorgeous home! 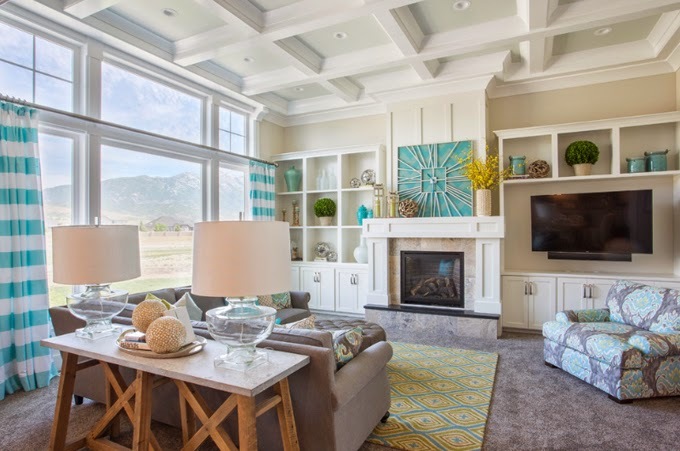 Some of you may have been lucky enough to tour it in person…it was in the Utah Valley Parade of Homes this past summer. 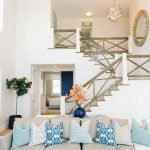 The Lehi home was built by Highland Custom Homes, with the home plan by Joe Carrick Design and interior design by Chelsea of Osmond Designs…and of course beautiful photography by Hiya Papaya! Cristi of Hiya Papaya told me the home was totally packed when she went through to photograph, so she had to be a little creative with her angles! 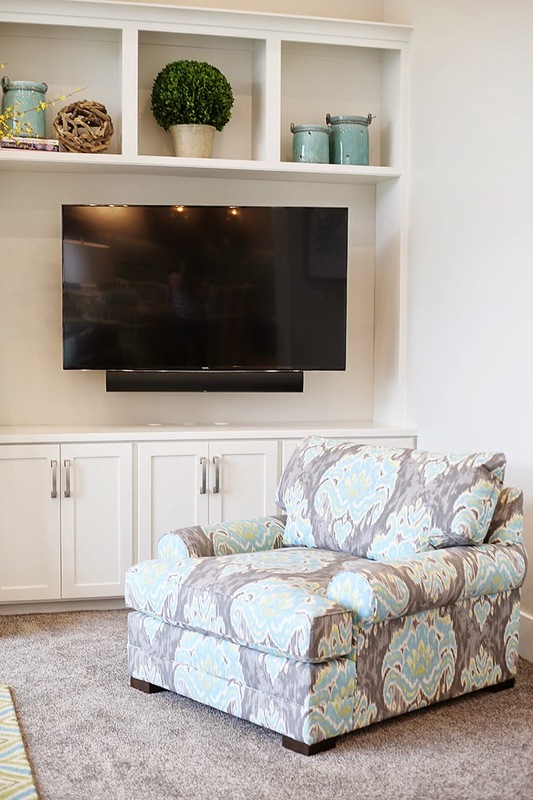 I found additional photos of the home via Joe Carrick Design taken by Nickolas Bayless, I’ll share those below so you can see some full room shots! Amazing, right?! 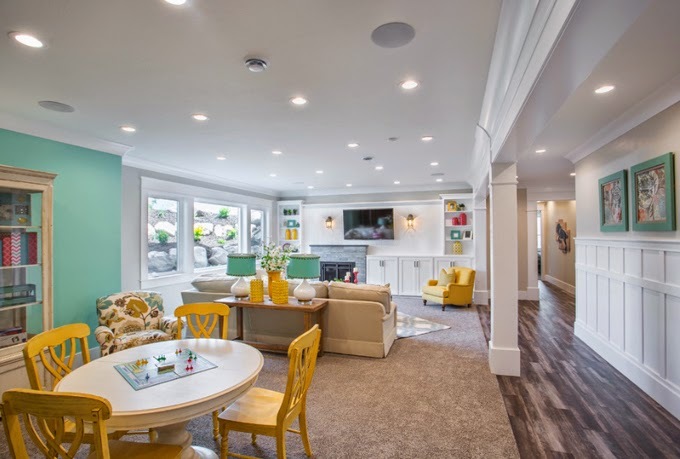 I swear Utah has the best Parade of Homes. 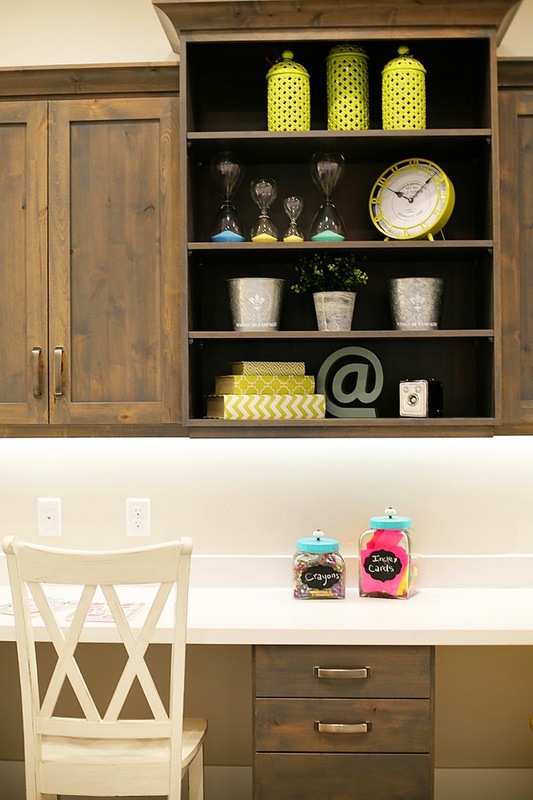 I absolutely love how cheerful and bright this one is, with perfectly placed pops of color throughout! 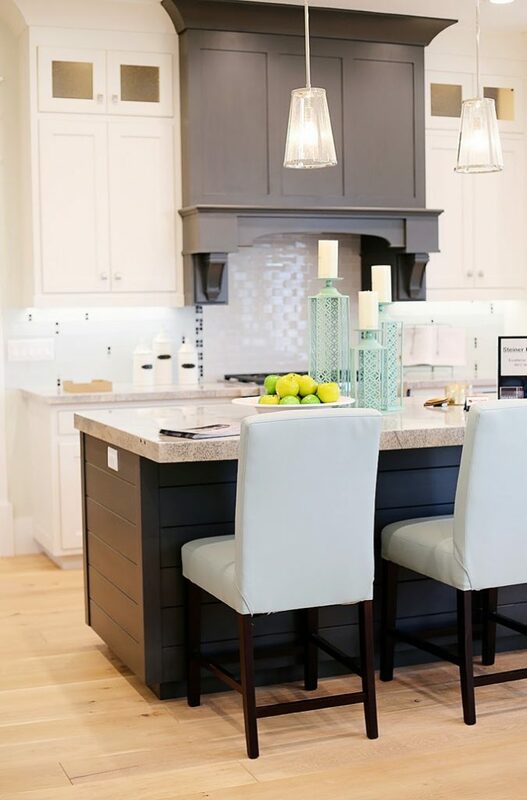 If you love the look, a lot of the furniture and accessories came from Osmond Designs. 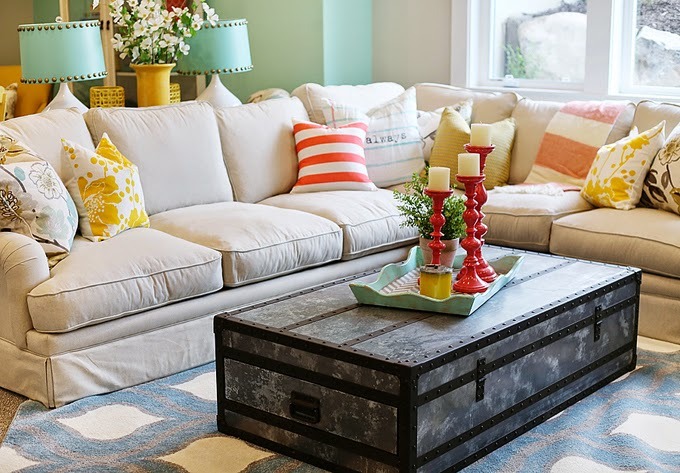 You can see lots more photos of the home taken by Hiya Papaya right over here! 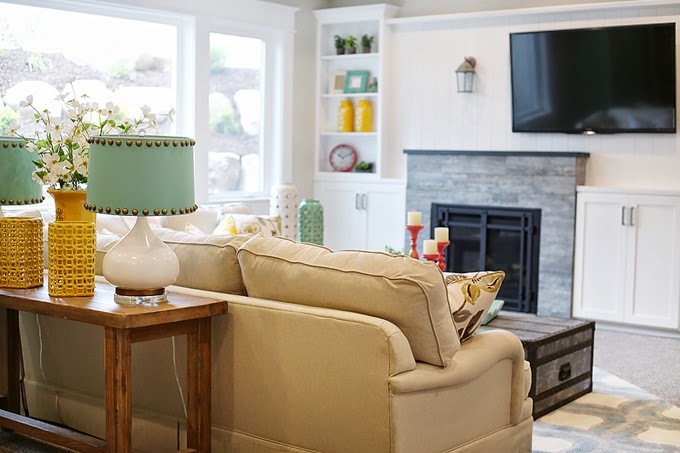 « One Room Challenge – Final Reveal! Absolutely fabulous ! Wish it was mine ! 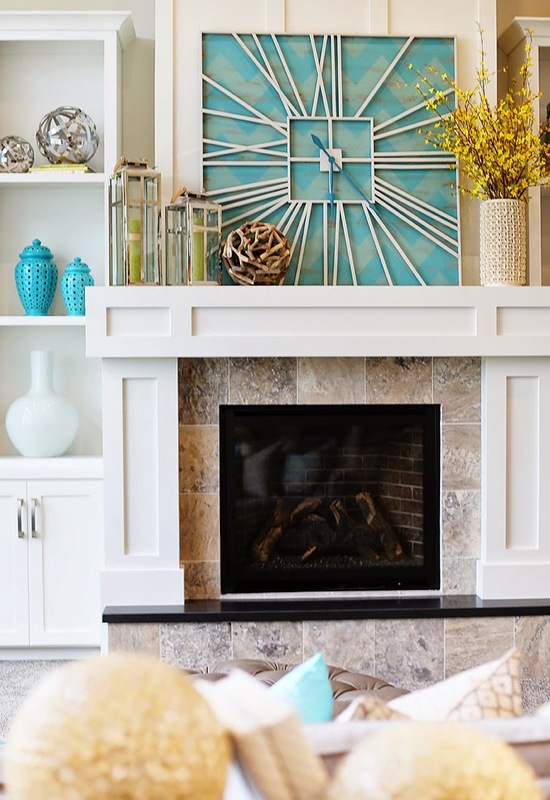 I need that giant blue clock! Do you know where that is from? I think I saw this clock on Four Chairs Furniture's Instagram. They are located in lindon, ut. I want one too! Any way to find out what the paint colors are? 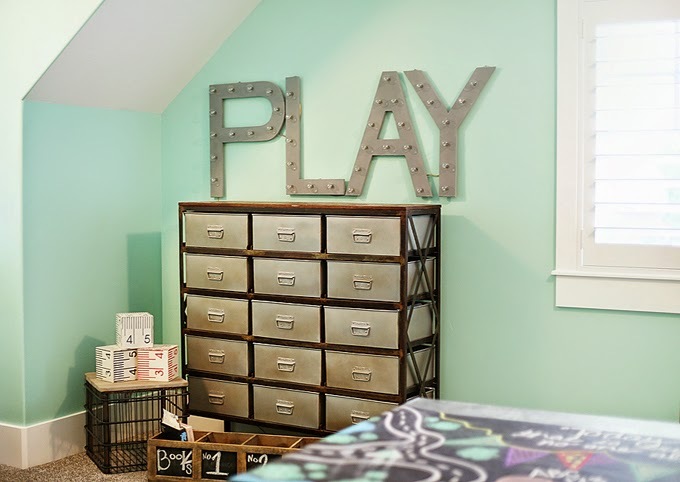 Especially the play room. Love! I don't comment very often but I just wanted to say I read your blog every day and look forward to all the great photos you post. I've been to this house and yes, Utah has amazing parade homes! This was my favorite of the year. 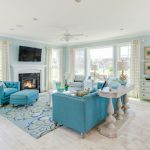 I would love to have a home like this – I love the ceiling in the living room and the touches of turquoise really make the interior! 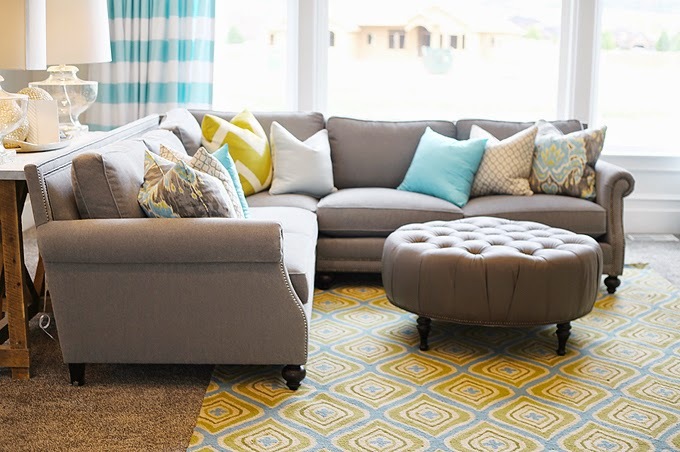 That grey sectional with the nailheads is georgous. 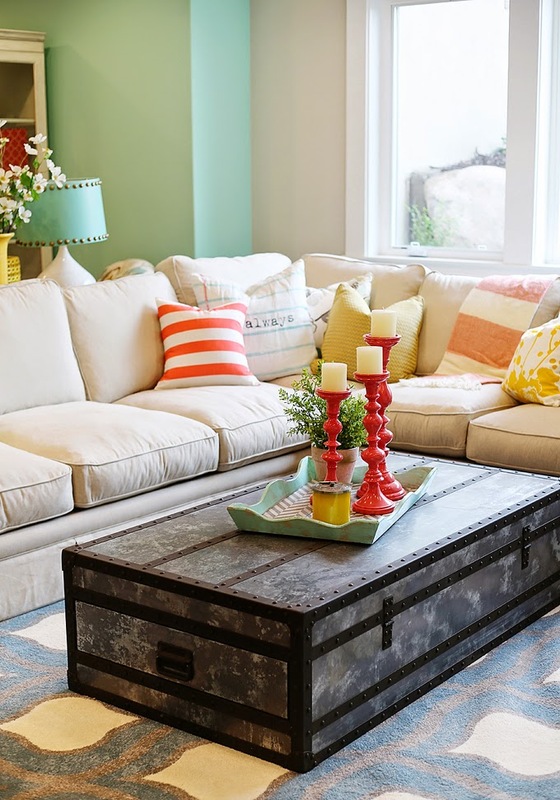 Can you tell me where that couch can be purchased? Wow, what a beautiful home. 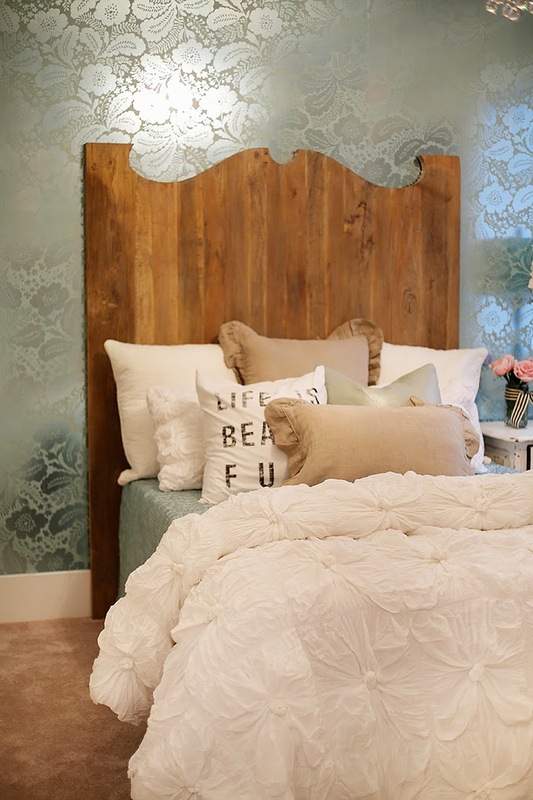 love the colour scheme and textures, totally inspirational! I have searched and searched but no luck. 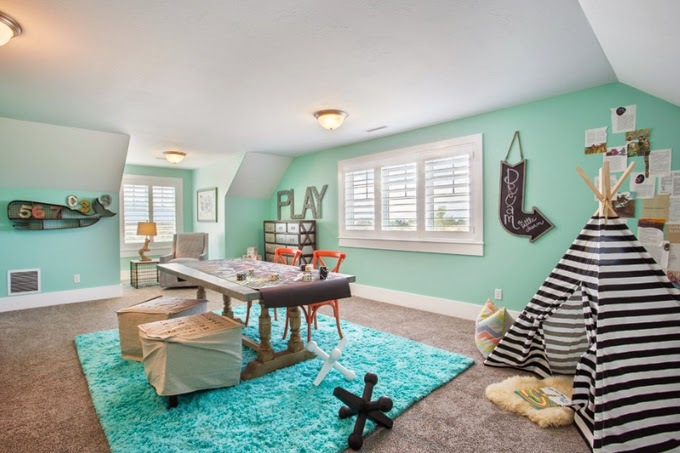 Is there any way at all to find out where the rug in the entry picture could be bought? It is exactly what I am looking for. The entry rug can be found here! 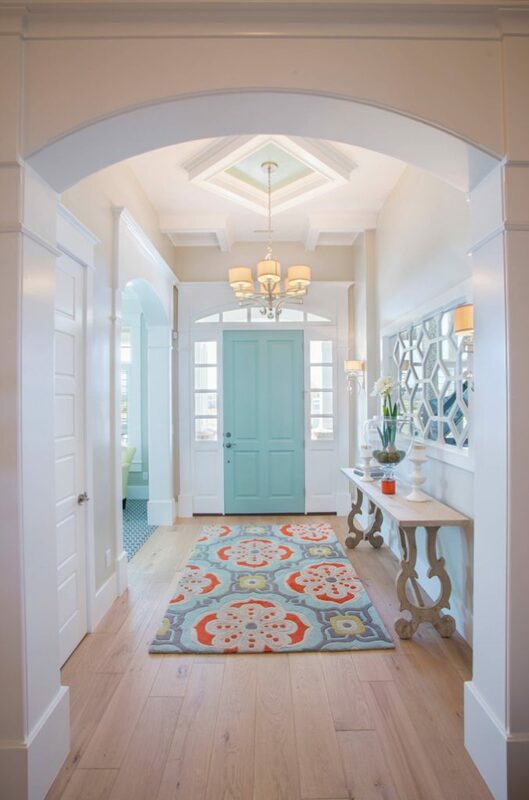 Any way to find the turquoise door paint color? I love it! Ok how about the living room rug? I am having no luck finding that one either? Does anyone know where I can find the entryway mirror? Where would I find the table in the foyer? Love it! Gorgeous pictures! Could I get the paint color for the interior front door. Who was the interior designer? I would love to see more of their work!!! Hi, My name is Chelsea and I actually was the designer on this project. My website is stripedpeony.com if you'd like to see any more of the work I've done. 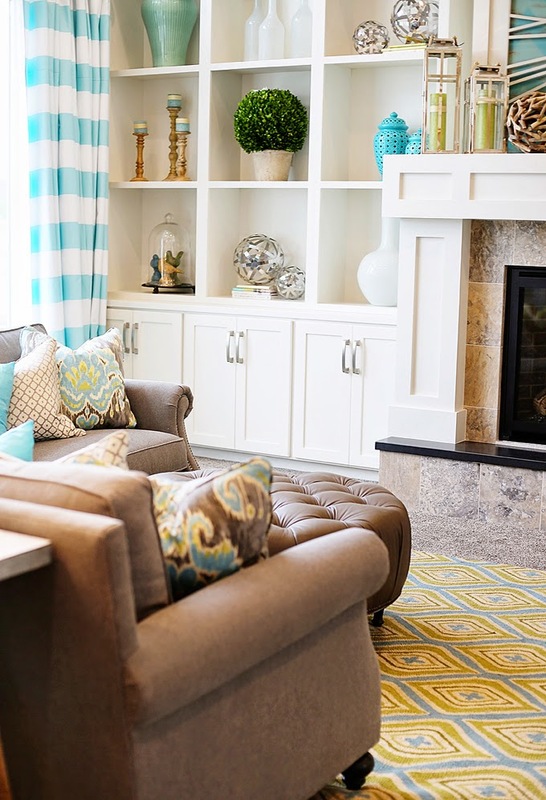 All the furniture was purchased at Osmond Designs. Thanks for the great post! Its awesome. You did an amazing job! 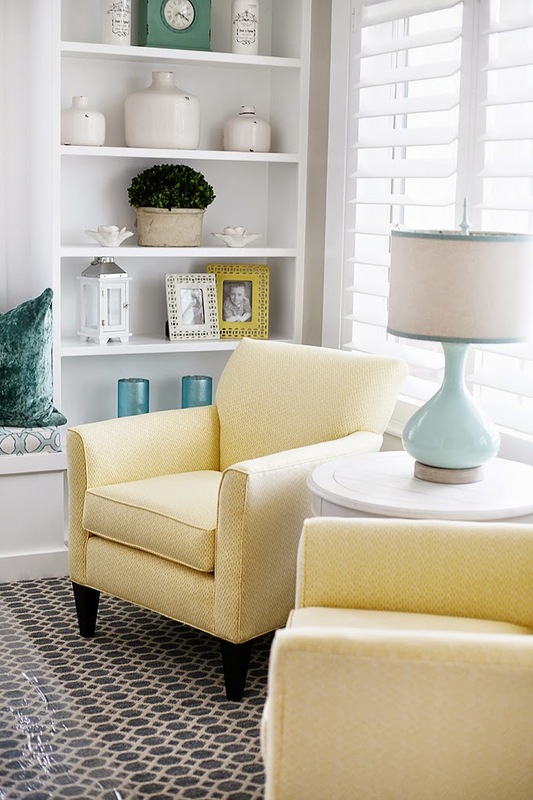 I know this is an old post, but do you know what the name of that rug in the entryway is? I tried to look on Osmond design, but I don’t see it. So, I was going to try and look up the rug by name?! It is gorgeous, and would be perfect for my new home . Thank you so much! 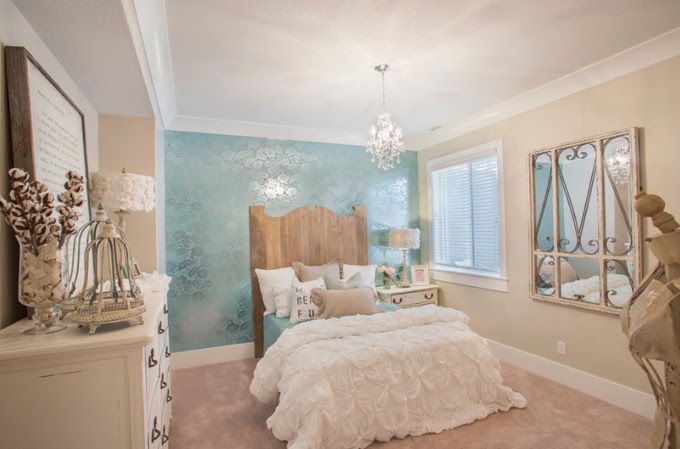 I love the clock and the bedding in that master bedroom. Do you know where they can be found? I was lucky enough to see this house in person. This was my favorite home in the parade. Great to see some professional photos as well! What a beautiful home! Would you be able to tell me the paint color of the front interior door? 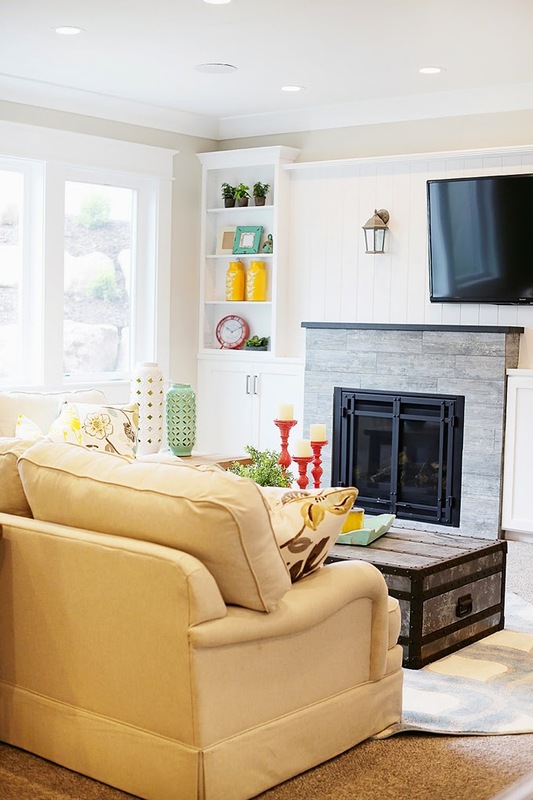 Is there a location to find all the paint colors in one site? I'm with the rest of the gals wondering what color and brand the front door is painted. 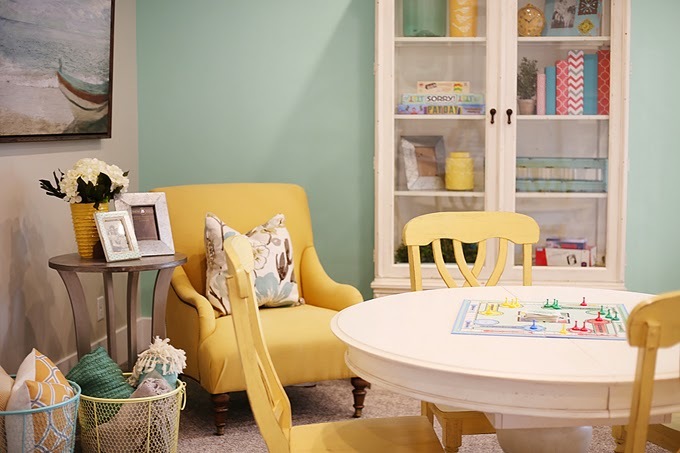 That color is amazing and perfect for my sewing room door! Does anybody know where the table in the entryway is from??? I am in LOVE with this house! Ok, scoured all comments and the web, and can't find the paint color used on the front door. Anybody else had any luck. I'm obsessed!!! Does anyone know? 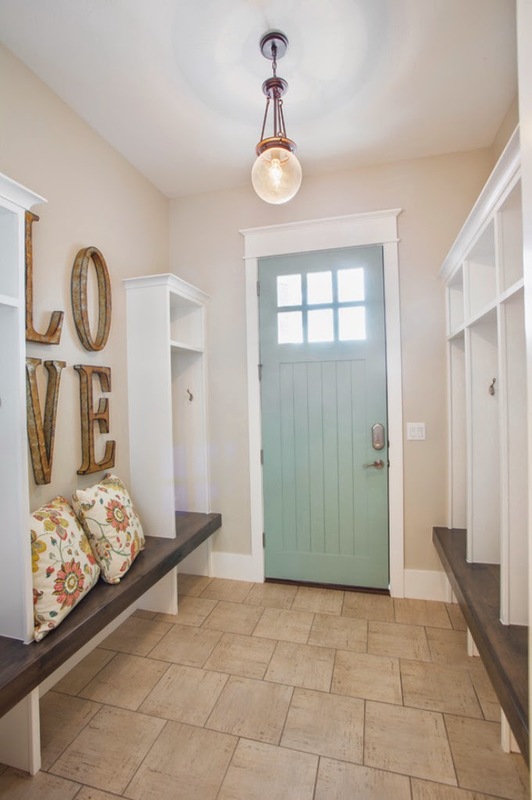 I'd also love to know the door paint color as well as the entry walls and trim. It looks like the same wall color was used throughout with exception ? 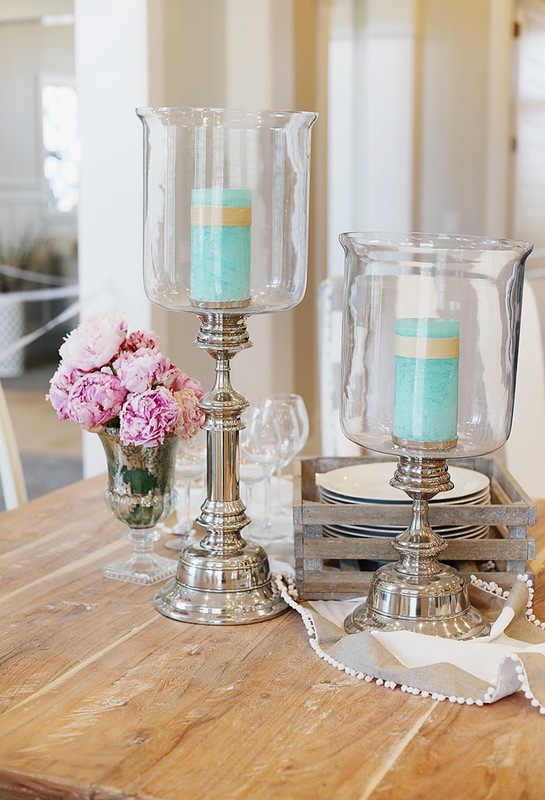 I'm about to paint and my "inspiration" is a vintage turquoise and white tile rattan table I recently purchased. So excited about this project. Thanks! Hi Erin, what is the paint color for the inside of the front door? Thanks! I have look all over for the wall paper in the children's room. Would you mind pointing me in the right direction? 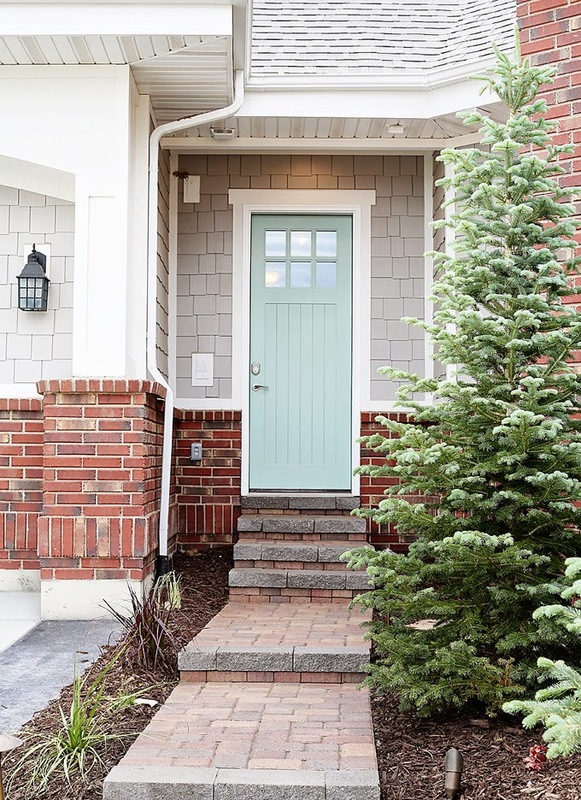 The front door is painted Wythe Blue by Benjamin Moore…love it! 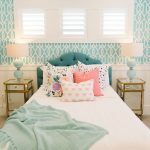 I'm new to Pinterest and just came upon "House of Turquoise". I love it! My color scheme is very similar. 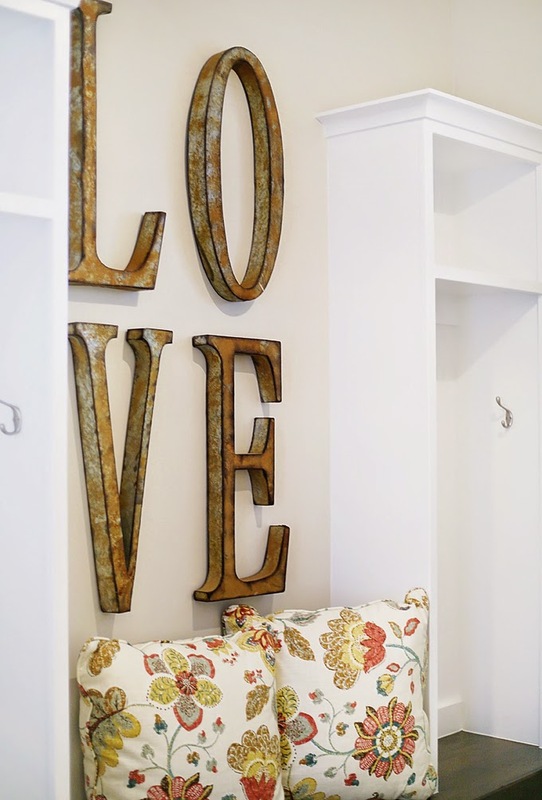 I've been searching everywhere for tile I like and I'm in love with the tile in the mudroom. 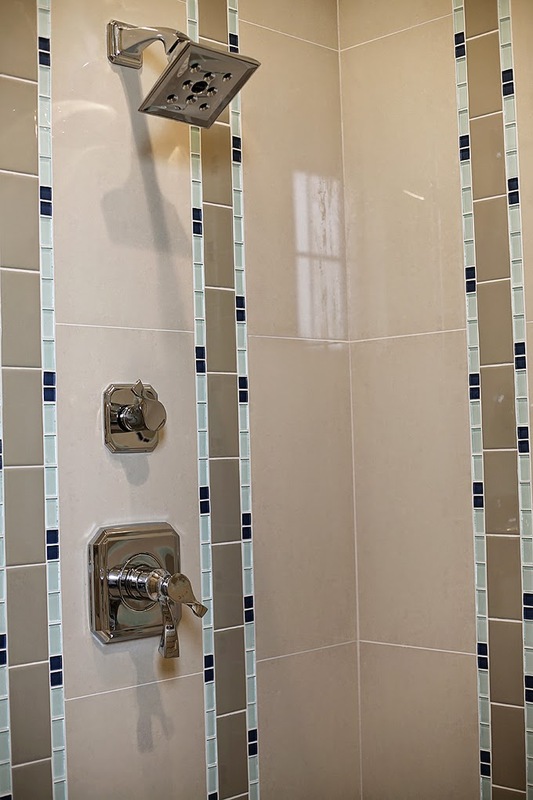 Is there anyway to get the name/color of the tile? What colors are the kitchen and living room walls and trim painted. 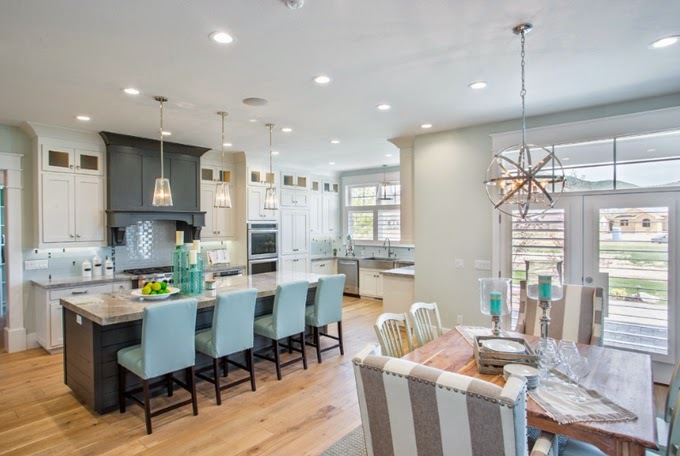 Do you know the paint color on the main walls throughout the house? I love it! It works in brown and grey rooms. Love all of this. Please do tell the paint info for the foyer door. Color? Brand? Thanks! What is the exterior paint color and what is the exterior front door color? 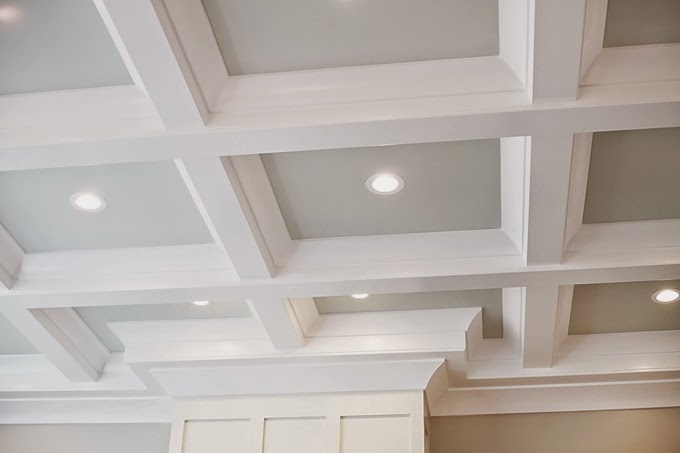 What is the outside trim color? 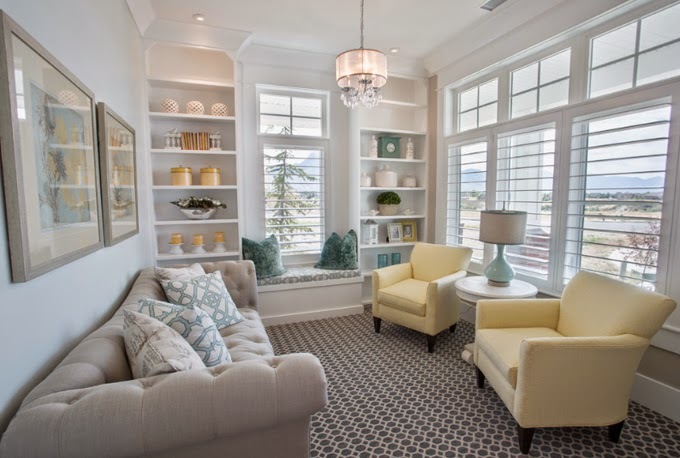 Where can I find the rug from the entrance? Its gorgeous! Do you know where I can buy that comforter/duvet? The cream and turquoise one? Thanks!! 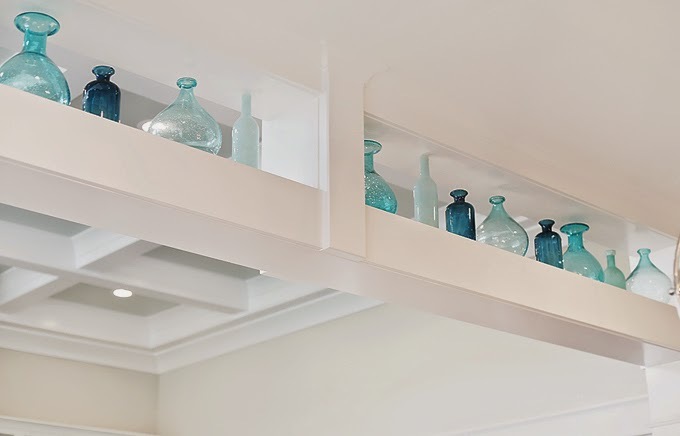 How wide is the mudroom? I am working in Malvern Building Group in Adelaide Australia. 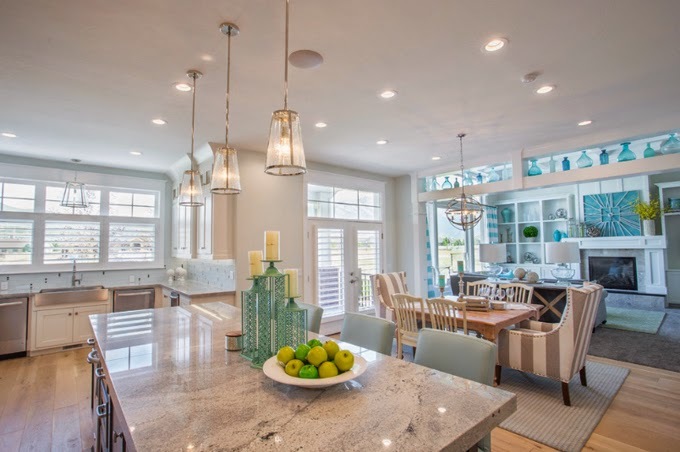 I am looking several custom build home design but this one is the best example of custom home. 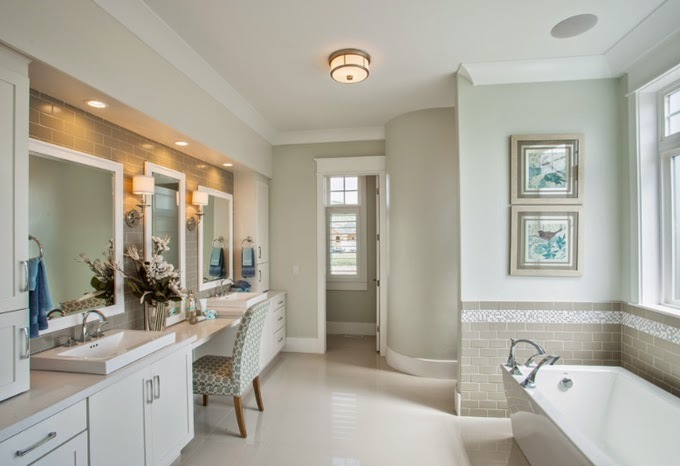 where is the mirror from in the entry way? 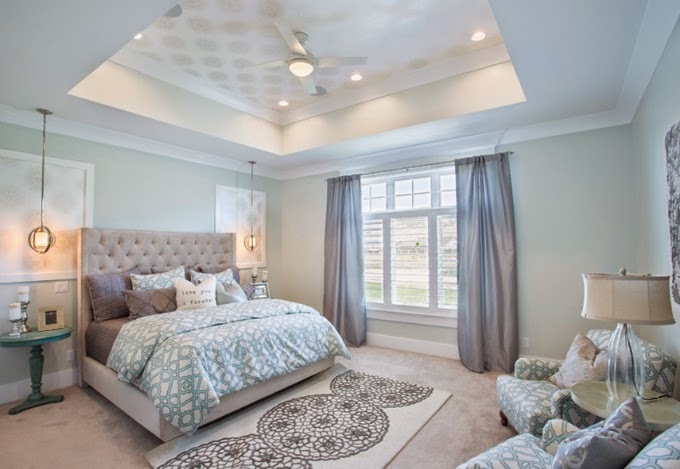 Can you tell me the paint color of the master bedroom? (I think that's what that room is) the one with the gray drapes? Love it! 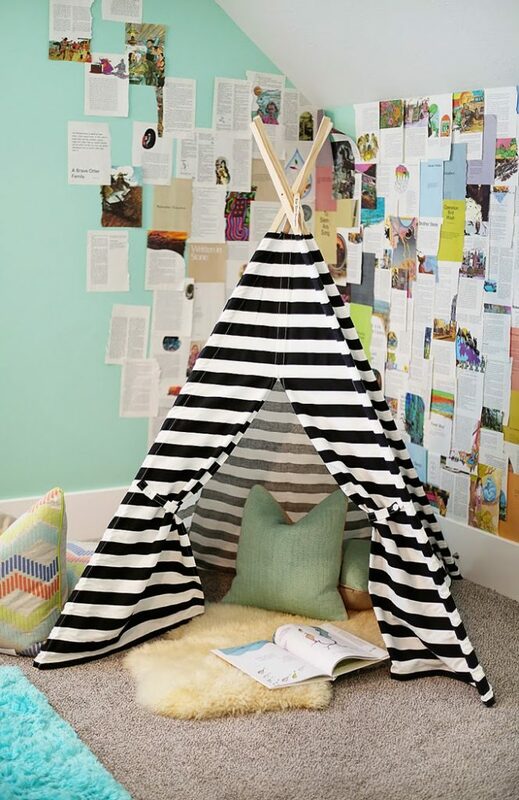 Where can I find the bedding?! I’m in love and want to buy the entire set but can’t find it on Osmond designs or anything ? please help! Does anyone know where the mirror in the entryway is from? I’m in love and can’t find anything like it! Please, please, please, does anyone read and reply to these posts?! I really would love to know where the entryway mirror was purchased from! Thanks. 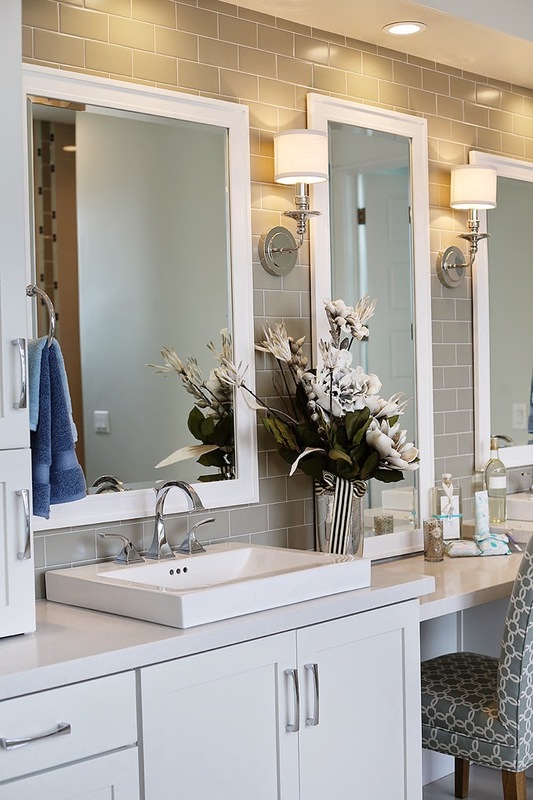 The beautiful mirror (and all of the home’s furniture) is from Osmond Designs, a furniture store in Utah.